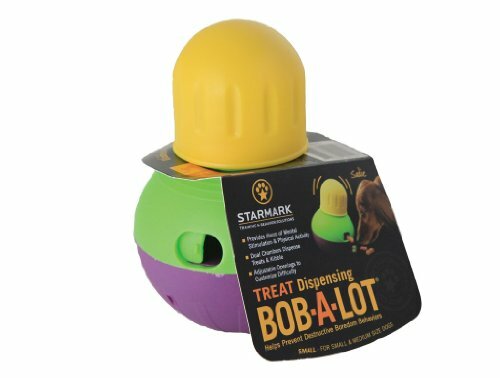 This new smaller size has all the adjustability of the original Bob-A-Lot. Large chamber fits over a cup of food for mealtime feedings. New adjustment gate on the bottom accommodates a larger kibble size and is easier to adjust. If you have any questions about this product by StarMark, contact us by completing and submitting the form below. If you are looking for a specif part number, please include it with your message.